DESCRIPTION: They weigh 1-2.5 lbs. 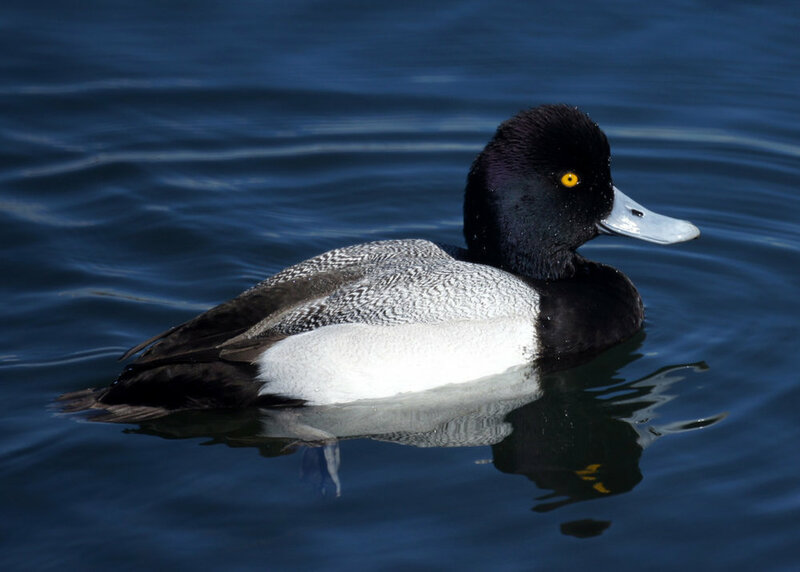 and have a wingspan of 2-2.5 ft.
HABITAT: Lesser Scaups can be found in bodies of water such as lakes and ponds, and in marshes and wetlands. DIET: Their diet consists of mollusks, crustaceans, and aquatic plant material. NOTES: Female Lesser Scaups make a “garf, garf” noise during mating season and males make a “whe-o” sound. They are protected on the US Migratory Bird list.